The Nigeria Police Force (NPF) has announced a massive nationwide recruitment into the force for next year (2019). i). Nationality: Be a Nigerian citizen by birth and possess National Identity Number (NIN). ii). Age: Must not be less than 18 years of age or more than 25 years of age. iii). Education: Must have an O’ Level Certificate at least Five (5) Credits level passes including Mathematics and English Language in not more than two sittings in WASSCE/GCE/N ECO/NABTEB. iv). Character: Must be of good character and must not have been convicted of any criminal offence. v). Height: Must not be less than 1.67 metres in height for men and 1.64 metres for women. vi). Chest Measurement: Must not have less than 86cm (34 inches) expanded chest measurement (for men only). vii). Physical Features: Must not have any one of the following abnormalities or deformities: Speech Impediment, Knock Knees, Bow Legs, Bent Knees, Flat Feet, Deformed Hands which cannot perform the full functions of the hand, Tattoos, Bodily Scar, Defective Eyesight or Squint Eyes, Amputation of any part of the body, Gross Malformation of teeth, Protruding Navel. viii). Pregnancy: Must not be pregnant at the time of Recruitment. ix). Financial Status: Must be free from any pecuniary embarrassment. x). Guarantors’ Form: Must download and fill the Guarantors’ Form, presenting verifiable references from any two (2) of the following: Traditional Rulers, Magistrate, Local Government Chairman, Heads of Educational Institutions attended, Career Civil Servant not below the rank of Grade Level 12, Police Officer not below the rank of CSP, or Military Officer not below the rank of Lieutenant Colonel. Possession of a valid National Drivers’ License is an added advantage. To apply for a Specialist position, candidates must possess relevant certificates and/or credentials in the required technical discipline. Be between 23 and 28 years of age. Have a minimum of either Ordinary National Diploma (OND), Advanced Level (A Level), National Certificate of Education (NCE) or their equivalent. This Certificate must be equivalent to the minimum entry qualification(s) of the position applied for. During application, ensure that you click on the Specialists’ Option Button and then Select the appropriate field you qualify for from the list of possible positions. CATEGORY C: GRADUATE CADET ASSISTANT SUPERINTENDENT. SPECIALISTS: To apply for a Specialist position, candidates must possess relevant certificates and/or credentials in the required technical discipline. This Certificate must be equivalent to the minimum entry qualification(s) of the position applied for. During application, ensure that you click on the Specialists’ Option Button and then Select the appropriate field you qualify for from the list of possible positions. This is the only medium for applying for recruitment into the NPF in 2018. Warning: The Police Service Commission and the Nigeria Police Force DO NOT demand or accept gifts or gratification to offer employment.Do not offer money to anyone before, during or after the recruitment exercise.Any candidate found doing either of these would be summarily disqualified and prosecuted. 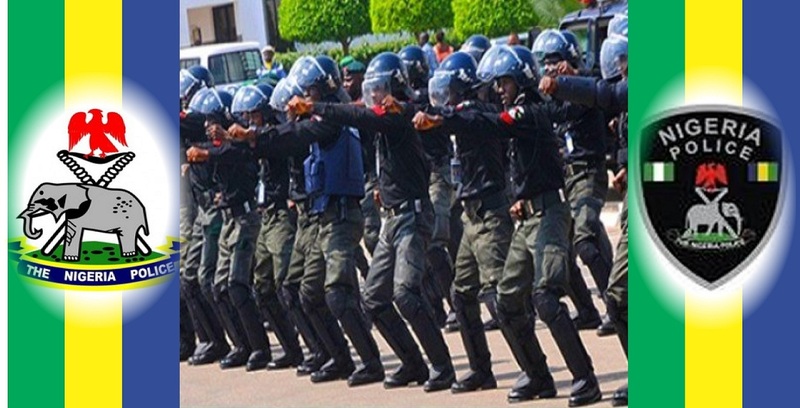 If you need us to help you with current information at the right time about Nigeria Police Force Recruitment 2019, kindly provide us your phone number and email Address in the comment box below. Also feel free to ask any question pertaining to this guide.